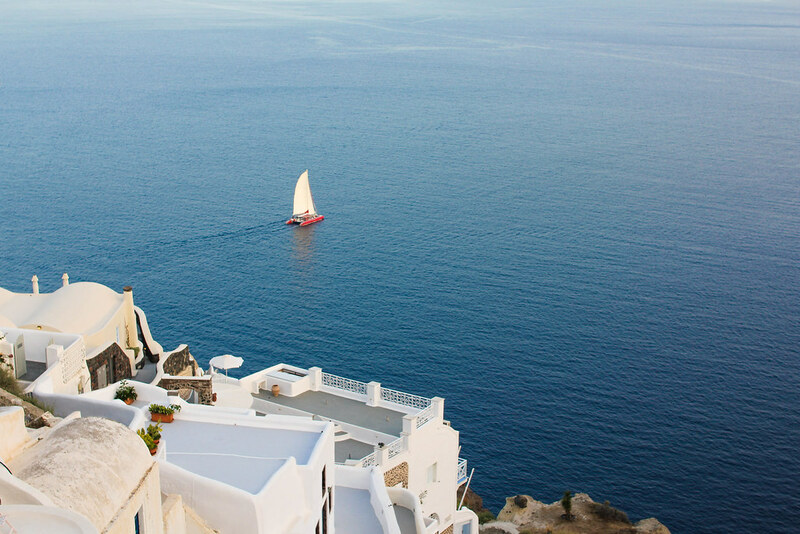 I don't even know where to begin when describing the beauty of Oía, Santorini. I mean, do I have to? This town is hands-down the prettiest place I've ever been to, so nothing I write will do it justice. 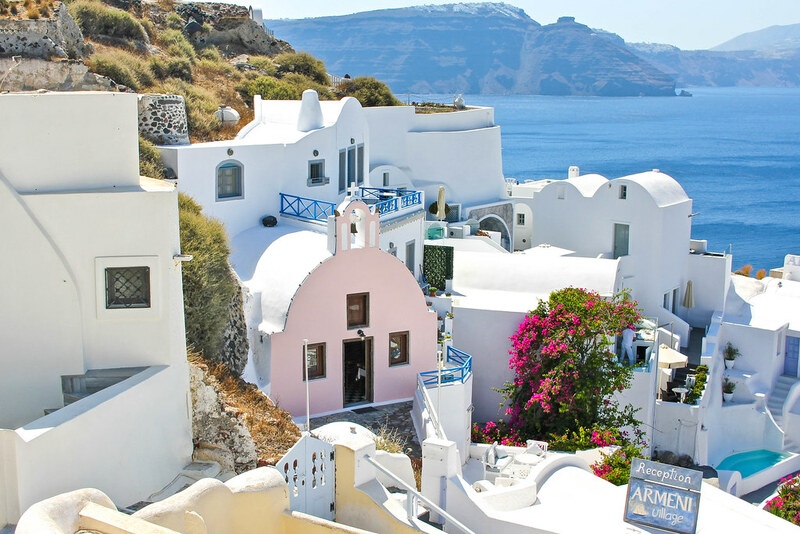 This dreamy village practically resembles heaven with its whitewashed houses carved into the volcanic hillside, breathtaking sunsets, and sublime views of the island's caldera. 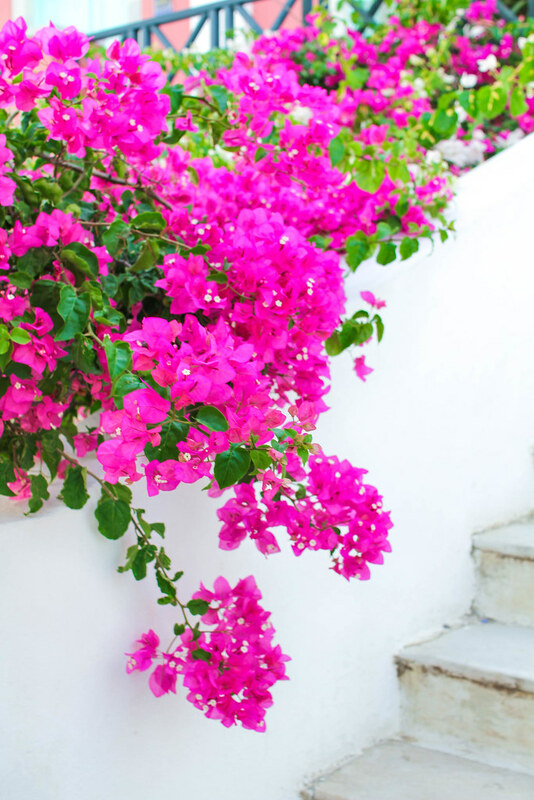 The calming sea of white is juxtaposed by cascades of magenta bougainvillea, aquamarine infinity pools, and cerulean church domes. 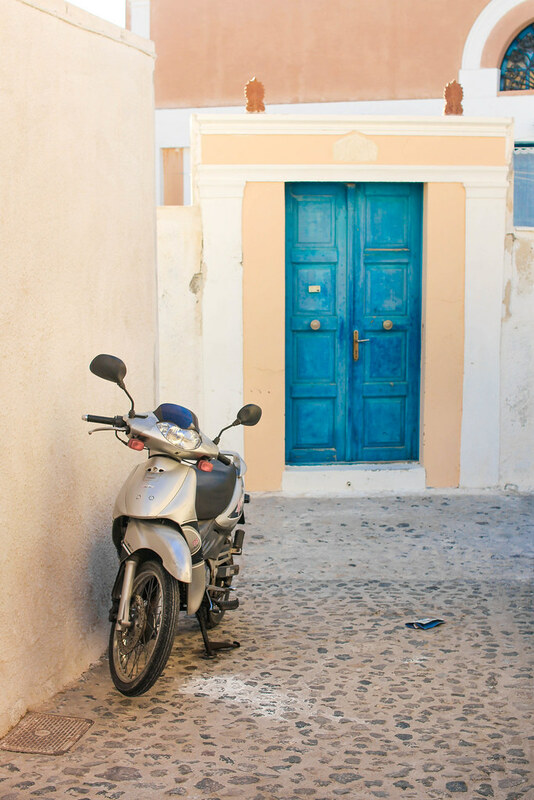 Boutique hotels and quaint shops line the narrow cobblestone pathways, while the azure Aegean Sea sparkles in the sunlight. 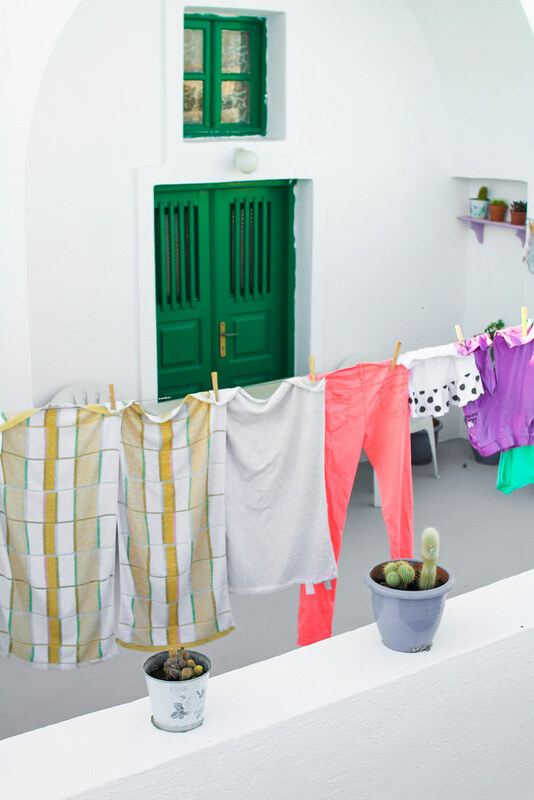 This blissful Greek utopia almost feels too good to be true. Suffice it to say, I'll be dreaming of coming back to Oía for a long, long time. 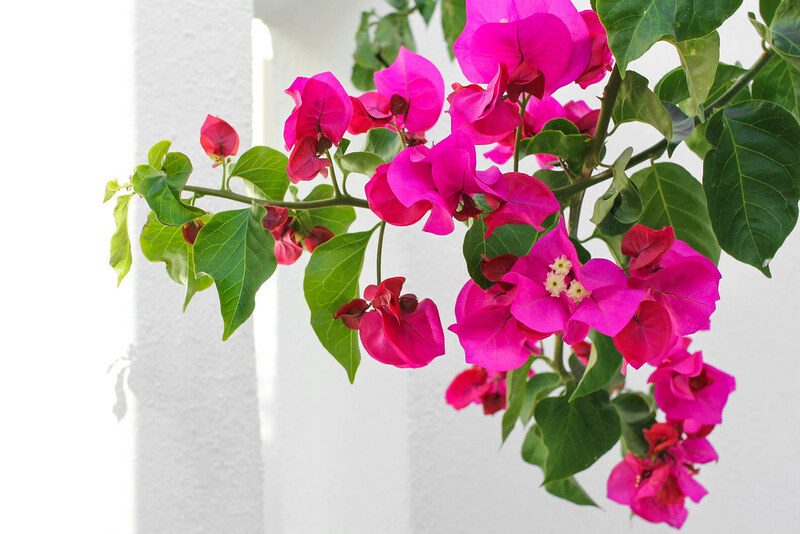 45 comments on "Paradise in Oía, Santorini"
Your photo's are to die for. 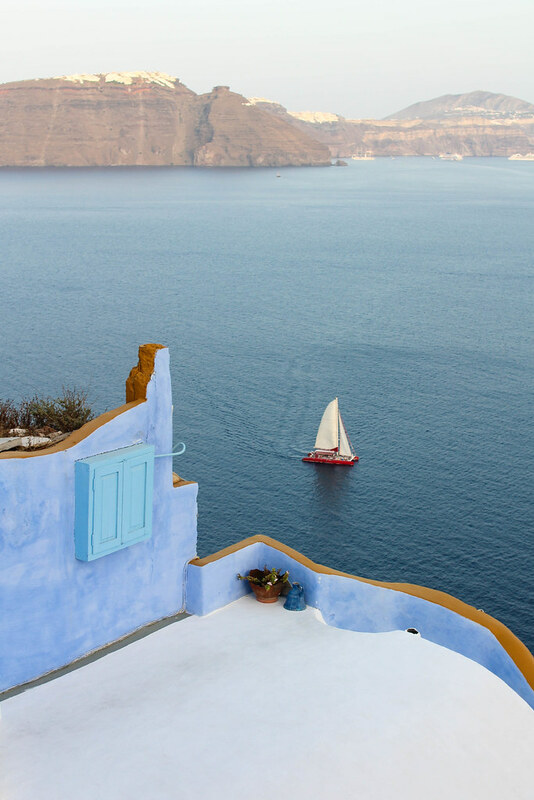 I have always wanted to got to Santorini, it just looks stunning! WOW. Sign me up. I love your outfits, too!! Your photos are amazing though - it looks INCREDIBLE. Yep, still on my bucket list... definitely hope to get there one day. 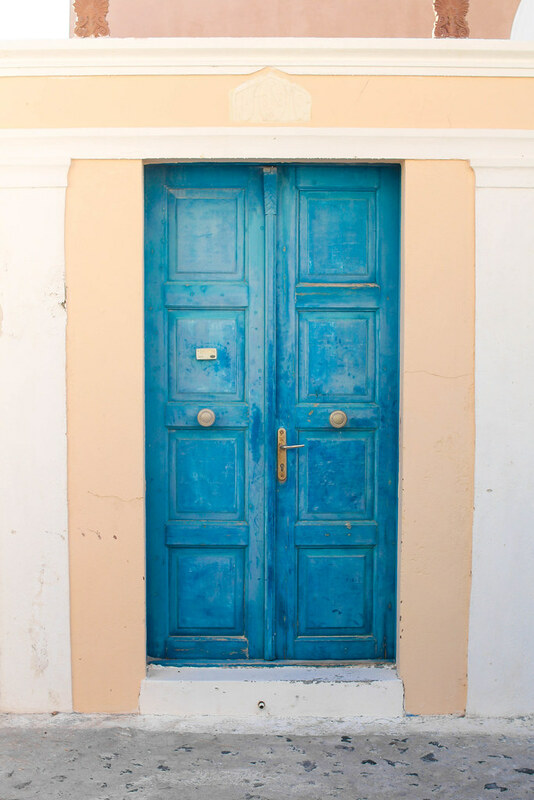 Santorini has been so high on my "must visit" list for so long - your pictures are killing me! Looks absolutely gorgeous. Your photos are stunning - make me want to buy a plane ticket right.now! I wonder when am I going to take a shot of this beautiful island? Easy to believe that it's the prettiest place you've ever been to, it's stunning! Oh man, those pictures are crazy beautiful! 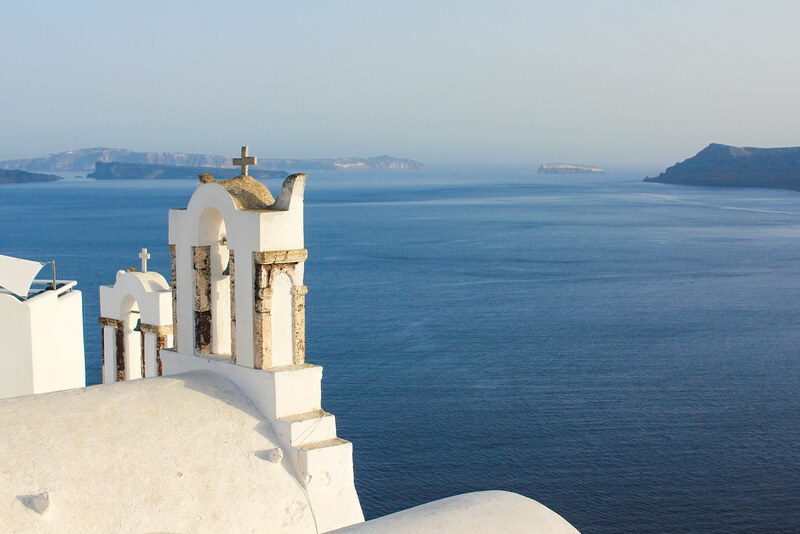 Greece has been at the top of my must-visit list since 2004, yet somehow I haven't gotten there yet. That NEEDS to change! Love the new design, Courtney! Your photos and the landscape are drool worthy as always! Even if you have no words to express the beauty of the island, I think we can all agree a picture is worth 1000 words in this particular case :) And I love your dresses, the white one especially! I love these photos so much! I wish I were there. It looks like heaven. So typically Greek, love it. Thank you! I've been dying to go to Santorini my entire life, so finally getting there was a dream come true! It was even more beautiful than my photos could capture! It's definitely one of those "is this real life??" places. It's so beautiful it's surreal! I think you'd really like it there! The combination of the mesmerizing architecture and the natural beauty of the island made it unlike any other place I've been! I wish I were there right now too ;) It's definitely the dreamiest place I've ever been! These pictures are amazing! I want to be there right now! I want to be there right now too! Is it too early to plan another trip back?! Oh my goodness! These photos look like paintings! So utterly gorgeous! 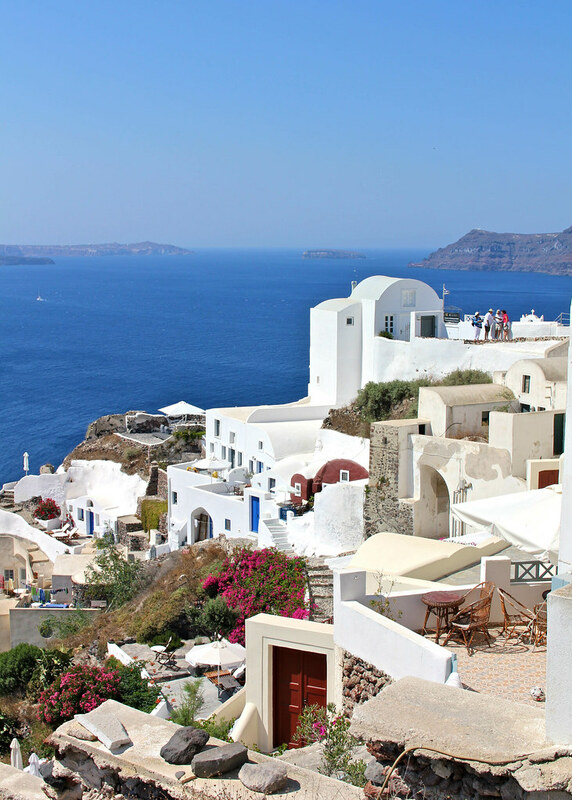 I have dreamed about Santorini for many years, so these photos are just another reason to go visit soon! Glad i stumbled upon your blog through Travel Tuesday! 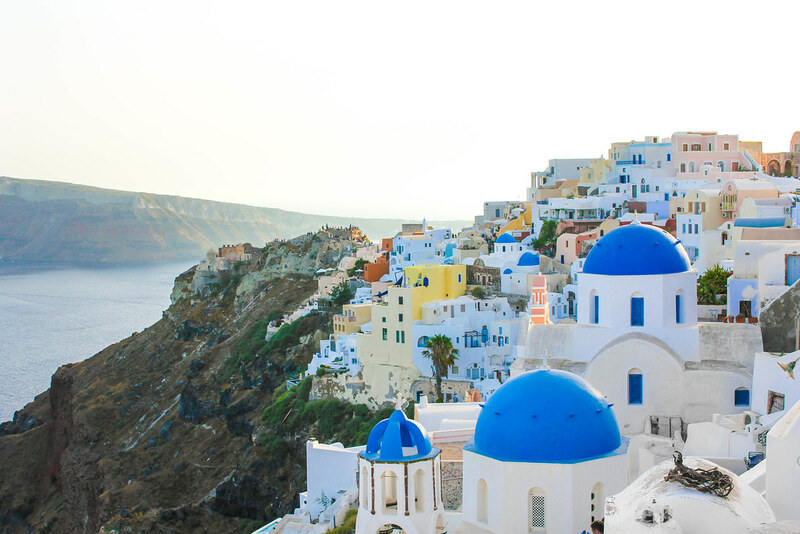 Greece keeps coming up in our discussions that we want to go but it never really works in our travel timeframes since we mostly travel in the Spring/Fall and that's not great to visit the Islands I've heard. Perhaps we are! 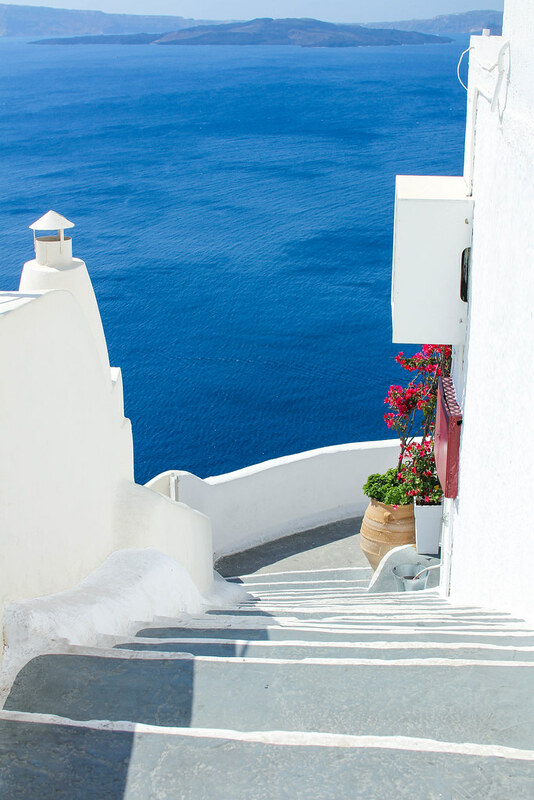 I specifically bought that dress because of how well it would match Santorini ;) I got it on sale too! Score! Thank you! I'm glad they could inspire you :) I hope you can make it to Greece soon! Magical is the perfect word to describe it! I want to be back there right now too! If only teleportation existed, right?! Oh, I gotcha. But the good thing about going during the Spring or Fall is that the islands would be a lot less crowded. 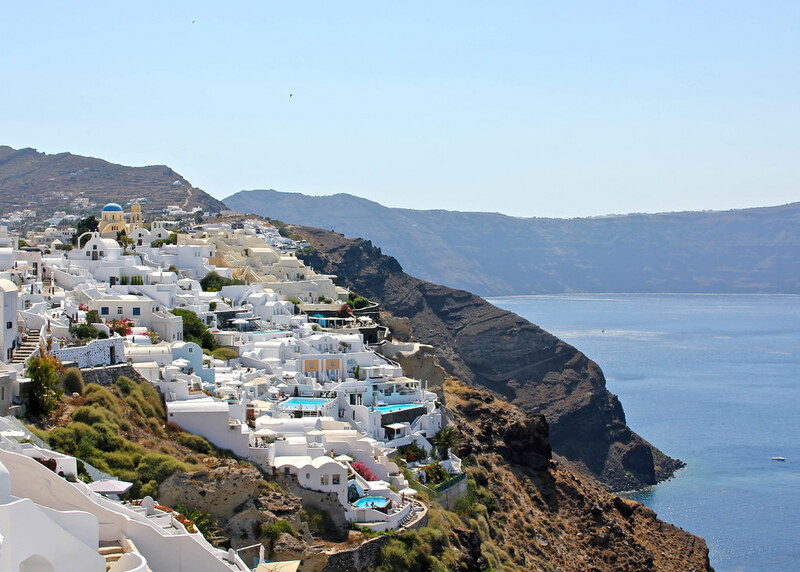 When we were there in early July, there'd be days when SIX cruise ships would come into Santorini. SIX!!! We could hardly walk around and squeeze past everyone! Haha thanks :) I'm sure you will have many, many epic European adventures once you move to Spain! When do you leave? It must be coming up quickly! I can't get over how lovely your photos always are! 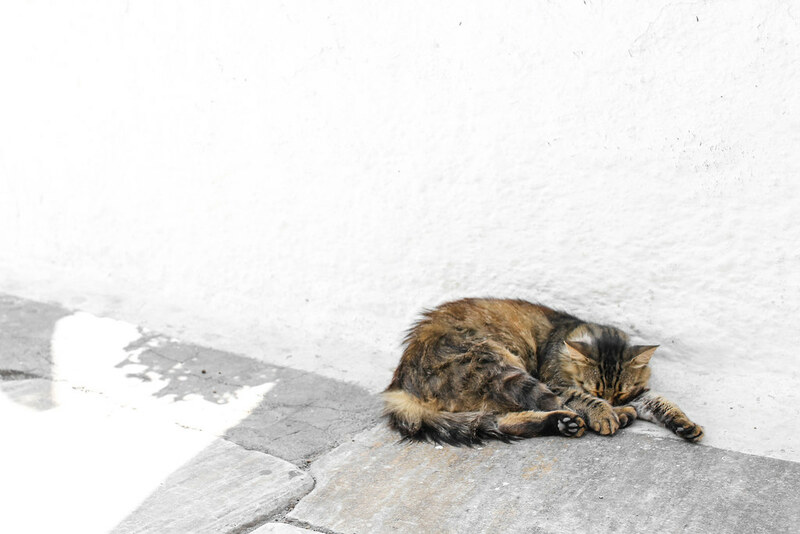 I actually found Santorini to be less beautiful than I expected, but Oia was incredibly photogenic, and I had a blast there. Why thank you! 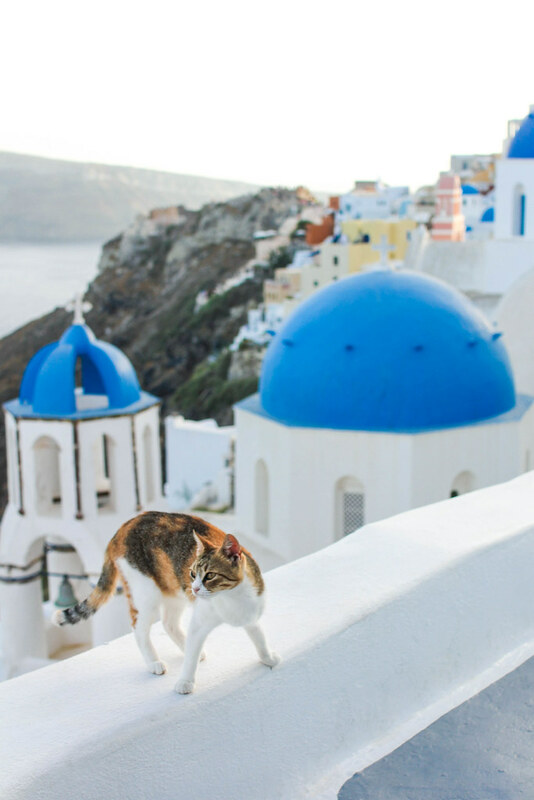 You're right, Oia is particularly photogenic. I didn't find Fira to be quite as stunning. Oh I want to go here so badly!! Incredible photos!! Thank you!! I think that it really does look like that all the time. The whole place felt too good to be true! Just like everyone else has been saying, your photos are insanely beautiful! 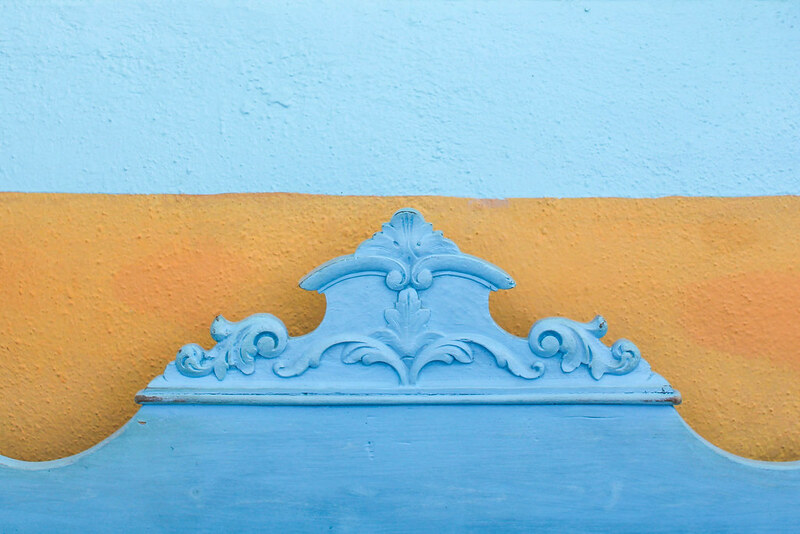 I'm sure this has been answered elsewhere on your blog (which I love, by the way -- I'm moving to Madrid in January and am trying to read all the expat blogs I can! ), but what type of camera do you use? 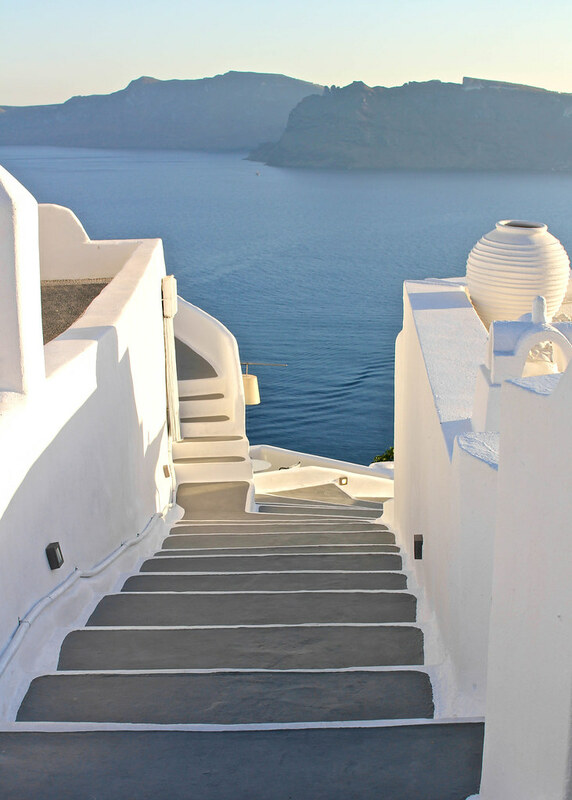 Ahhhhh i'm so jealous you went to Greece, i've been wanting to go there forever! Thanks Beth! I use a Canon Rebel T2i with a Sigma 30 mm f/1.4 lens. And how exciting that you're moving to Madrid! It's the best place in Spain to live, although I suppose I'm a little bit biased :) Let me know if you have any questions! I hope you make it there soon! It's one of my favorite places on earth!! Lovely, I'd love to go.